One of the most important phrases you’ll hear from Scott Voelker on The Amazing Seller is the phrase “take action.” It’s become Scott’s slogan and has motivated so many people to step out in spite of the negative voices they hear. As a result, many people are creating their own substantial income through Amazon private label sales. Today’s episode is about equipping you to be one of those action takers, one of those people who experiences the kind of success that you dream of. Toward that end Scott is chatting with John Lee Dumas, entrepreneur and podcaster about his new “Freedom Journal” and how it can help you accomplish your #1 goal within the next 100 days. It’s a practical tool that John guarantees will set you up for the success you’re looking for. Find out more on this episode. F.O.C.U.S. – Follow one course until success. 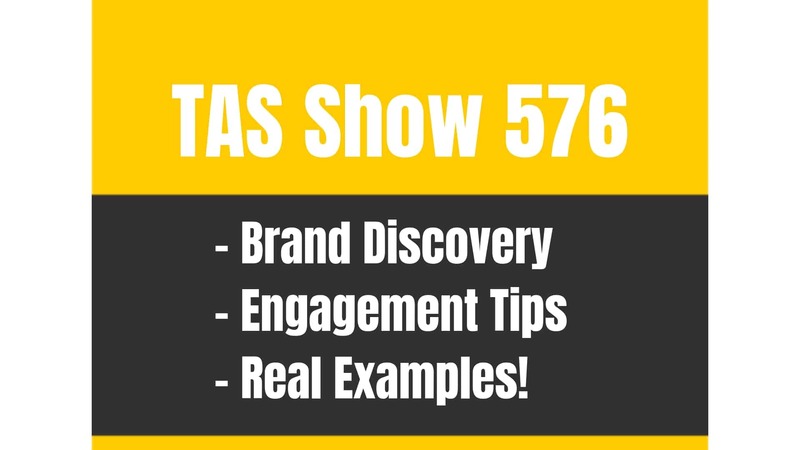 Just as Scott encourages the TAS community to “take action” every week, John Lee Dumas talks often about the power of F.O.C.U.S. What does that mean? Simply, it’s John’s version of what Scott’s been saying: Follow One Course Until Success. There are many, many “weapons of mass distraction” out there (John’s phrase) and they will pull against your desires to accomplish significant things in your life. You need to learn the discipline to overcome those distracting things so that you can reach the level of success you want. This episode is a primer for you, leading to understand that kind of focus and how you can begin taking steps to developing it in your everyday practices. Be sure you listen. Those who are successful know how to set and accomplish goals. In interviewing thousands of successful entrepreneurs John Lee Dumas has discovered one commonality between them all. Those who are successful on any level are the people who know how to set and reach goals. For those people there are no excuses. No turning back. They wisely set S.M.A.R.T. goals (more on that in a bit) and take action. Today John Lee Dumas shares why he’s so committed to helping people discover how to set and accomplish those kinds of goals and what he’s doing to ensure that more and more people can learn the skills necessary to enable them to add that skill to their toolbox. It’s an important episode Scott’s got for you today, so be sure you take the time to listen. S.MA.R.T. is a tried and true acronym that many people have used to help themselves set and accomplish goals, and it’s one John Lee Dumas recommends and uses in his new book “The Freedom Journal.” S.M.A.R.T. stands for “Specific, Measurable, Attainable, Relevant, and Time-bound. If you create goals that adhere to those 5 characteristics you’ll have no problem accomplishing them. John is so convinced of that he’s included the S.M.A.R.T. methodology as a key component of his new “Freedom Journal.” Find out more about the journal below and by listening to this episode of The Amazing Seller. Why John created the “Freedom Journal” and what it can accomplish for you. What difference would it make if you knew without a doubt that you would accomplish your #1 goal within the next 100 days? What would it do for your confidence? Your work ethic? Your commitment to success? John Lee Dumas is convinced that certainty like that will move you to take action like never before and make the world a better place in the long run. That’s why he created “The Freedom Journal,” a practical, daily tool to help you set your goals and systematically accomplish them day by day. He guarantees that if you follow The Freedom Journal, you WILL accomplish the #1 goal on your list within 100 days of beginning. He’s tested it with many users so far and stands by that statement. Find out how you can get your copy of The Freedom Journal and how the proceeds for this amazing resource are going entirely to charity, on this episode. “The Freedom Journal” a book by John Lee Dumas – get it today! [1:00] Scott’s introduction of John Lee Dumas. [3:17] Who is John Lee Dumas? [4:18] Why Scott loves John’s podcast and the goals for this episode. [5:39] John’s advice for those who are in the depths of overwhelm. [7:12] Scott’s experience with taking action in spite of the negative voices. [8:39] The Imposter Syndrome: what it is and how to work in spite of it. [12:00] How fear can be a great motivator. [14:25] The F.O.C.U.S. acronym John encourages. [18:26] The #1 thing entrepreneurs who are successful know how to do. [20:30] Why John created “The Freedom Journal” and what it accomplishes. [32:00] The charitable aspect of John’s Freedom Journal. [36:12] Scott’s encouragement for you to take action. 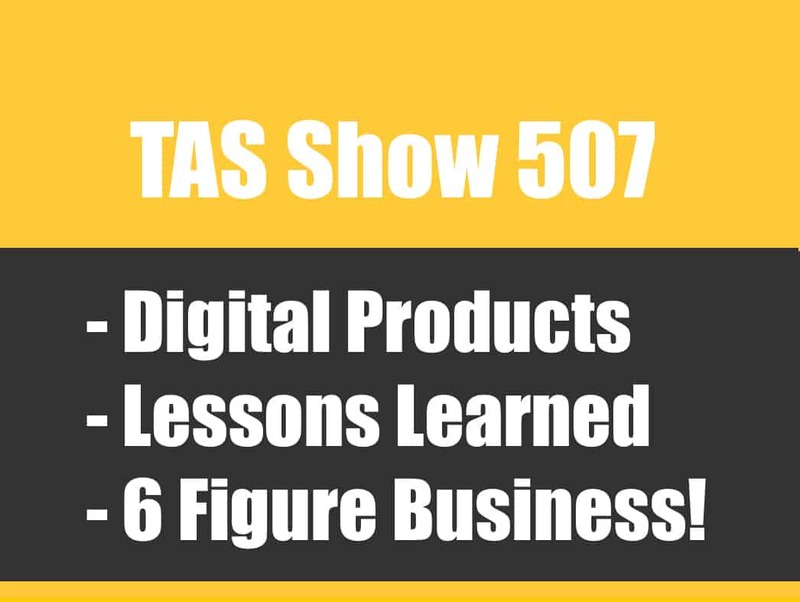 TAS 507: (The FULL Story) My 6 Figure Digital Products Business and Lessons Learned! I have been listening to your podcasts for a few months, and I wanted to say thank you for all the work you do, for sharing such great information and for your enthusiasm. You motivated me to take action, finally. I have been paralyzed doing too much “analysis” for a long time, but between you and Pat Flynn and by listening to all your guests I just gathered enough courage to start my Amazon business. I followed your advice and purchased Jungle Scout for may product research. I love it! Love it, Luz! If you have ANY questions, please don’t hesitate to reach out and ask! Do you help us chose the product to private label as a part of the course? Hey Varghese, we don’t pick the product for you in the course. It’s designed to help you find your own product. Obviously the facebook group is there as a way for you to check in and bounce product ideas around as well!